I bought this book myself! As always, my reviews are fair and un-bias. When Quinn Sullivan meets the recipient of her boyfriend’s donated heart, the two form an unexpected connection. Risking everything in order to finally lay her memories to rest, Quinn goes outside the system to track down nineteen-year-old Colton Thomas—a guy whose life has been forever changed by this priceless gift. But what starts as an accidental run-in quickly develops into more, sparking an undeniable attraction. She doesn't want to give in to it—especially since he has no idea how they're connected—but their time together has made Quinn feel alive again. No matter how hard she’s falling for Colton, each beat of his heart reminds her of all she’s lost…and all that remains at stake. Quinn, still over a year later, is grief-striken by the death of her beloved boyfriend Trent. She deals with it in many stages and variables, from remembering the memories they made like they were yesterday and keeping his pictures close by in her bedroom. But most of all, reaching out to the recipients of his donated organs gave her some comfort. To know that someone out there was now alive and well because of Trent. But the most important part of Trent, his heart recipient, had not replied to any of her letters. Setting out to finally get some closure, knowing that maybe his heart is safe and beating, Quinn tracks down Colton Thomas, the boy who is now living with Trent's heart. But the events that followed were unexpected with consequences she never could have predicted. When Quinn meets Colton, it's accidental. She never wanted to get this close. But when they spend more time together, delving into each other's lives, their connection is undeniable. Still they hide their secrets. Quinn doesn't tell Colton their true connection and he doesn't tell her about his gifted heart either. Things We Know By Heart took my breath away. It was a beautiful, heartbreakingly eye-opening and told the story of a connection that is more than skin deep - it's something by heart. I felt Quinn's pain and her grief through her words and her thoughts of memories that still haunted her every move. Jessi didn't just create a love story, she created a masterpiece of finding love in all the wrong places, showing just how heart-stoppingly brave and unexpected true love can be. 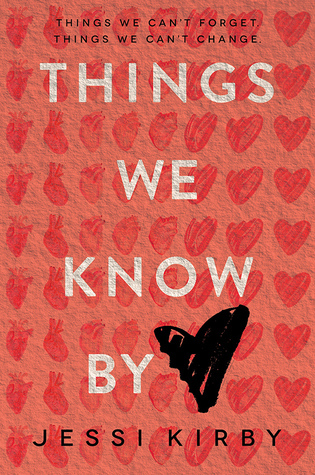 Overall, Things We Know By Heart was a five-star read that will forever stay in my heart as a stand-out novel full of character, love and pain that gave me brand new eyes. Magical. 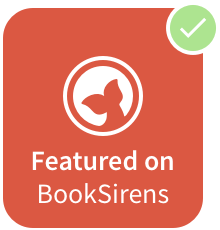 YA Fans of Contemporary Romance and fans of Jessi's previous work.